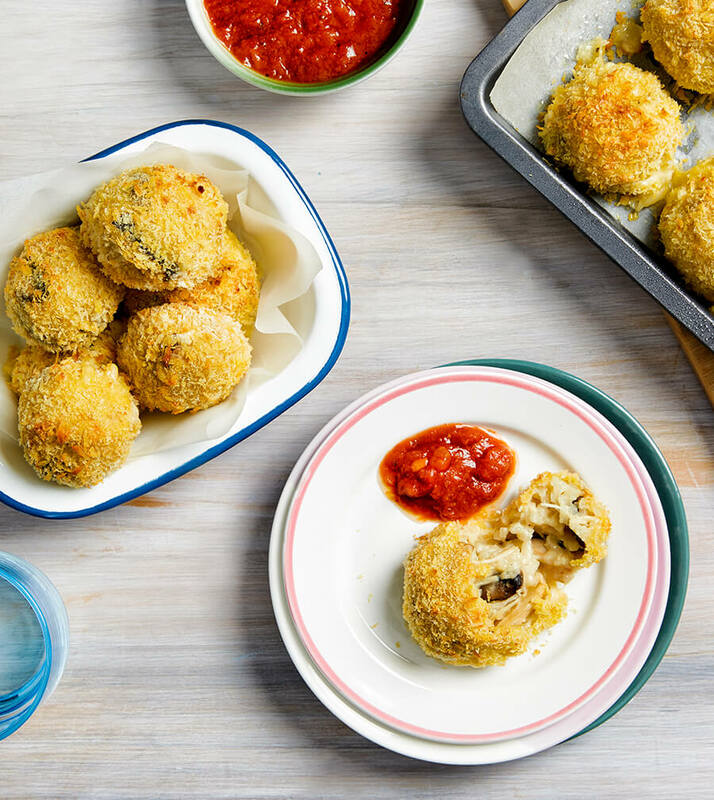 These tasty bites are lots of fun for kids to make and a great way to use up your leftover risotto. Preheat oven to 180 degrees. Spray a baking tray with cooking oil. In separate dishes, place flour, beaten eggs and breadcrumbs. Stir the grated cheese through the risotto. It’s time to make the arancini! The kids will have so much fun rolling balls of risotto! Roll each ball in the flour, dip in the egg, then coat in breadcrumbs. Place onto a baking tray and bake for 20 minutes. Top tip: Community Co Tomato and Garlic Pasta Sauce make a quick and delicious marinara dipping sauce!